You've heard that lifting weights is good for you and makes you stronger, more confident and generally more badarse. But maybe you're not sure what to do. That's OK, no one is perfect when they start. If you're just beginning, there's the perfect weight training program for you. Image by U.S. Naval Forces Central Command/US Fifth Fleet. 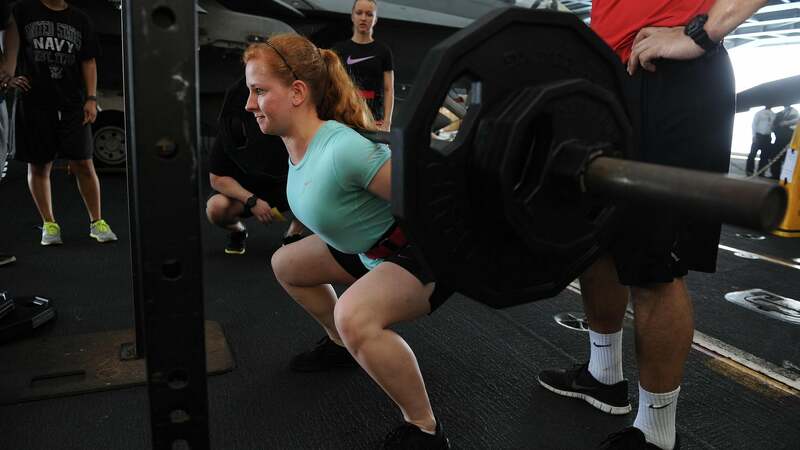 The Starting Strength program is a well-balanced introduction to serious weight lifting. The program itself is three days a week (a good frequency for beginners); emphasises full-body movements, like squats, deadlifts and bench presses, to build strength all over your body; gets you used to the ideas of reps, sets, progressive overload and rest; and teaches you the discipline to be consistent for good results. It's worth noting that Starting Strength isn't the only or even the first program of its kind. It's a starting point. Make sure you learn the proper form for these exercises and give it a solid month of work before you decide it's not for you. Remember, most well-balanced programs can give you results, as long as your diet and work ethic also match your goals.